Remember that it's all about making it simple and accessible to YOU and your needs. We both know that if you're the lazy-healthy type, it all comes down to making health realistic and practical while taking away the options of temptations. As a nutritionist, I spend a lot of time this season teaching clients how to stay healthy, lose weight, and keep it off while enjoying all the fun summer has to offer. Plus, easy fixes to ensure your weight-loss efforts actually stick. The new guidelines state the relationship between dietary cholesterol (found only in animal foods) and blood cholesterol levels is inconclusive, and more research is needed. The guidelines recommend to continue limiting dietary cholesterol with the exception of cholesterol from eggs and shellfish. I've rounded up some portion-control tricks which can help you get 2016 off to a great start and help you shed unwanted pounds. Many of these tricks are rooted in behavior change which serve as cues to gently remind us to eat mindfully... to eat when hungry... to eat more slowly... and to eat less. Compared to some of the other common goals most people have like finding a new job, saving money, being happier or more fulfilled, it would seem like simply exercising more and eating better would be the easiest of goals to accomplish. But as we all know it isn't. There's no need to overthink eating. It's really not that complicated. Just follow the KISS acronym and you'll be on the straight and narrow of a healthy diet. Are You Putting Too Much Fuel In? So how do you start shrinking that waistline without depriving yourself, messing up your metabolism with crash diets, and ending up regaining all the weight you've lost? Appalled by the type of information a person and especially an underaged user has access to in the Internet, I decided to break my "resume-agnosticism" and come clean. I am not a fitness guru and I will not make the mistake of creating a diet plan for my Facebook page without expert counseling. No matter how long you've tried to solve your weight problem and how many times you've failed, there is a way to solve it. You just have not yet found or done what you need to do. Keep learning and trying new things. Persist and you will succeed. What's in Your School Lunch? Is Food Addiction Keeping You From Losing Weight? To solve your weight problem, you need to make a permanent change in your behavior, made possible with behavioral therapy. Success comes with learning how to eat what you like in ways that keep you at your desired weight and it becoming habitual and a new "normal" for you. What Is Saxenda, the New 'Blockbuster' Weight Loss Medication? 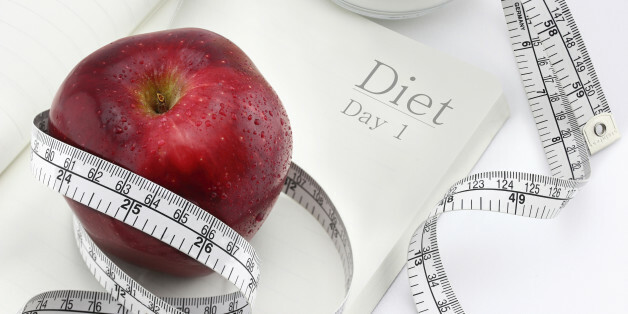 How Many Diets Are There? People look for the quick fix, to produce the weight loss for them. There isn't one. There is no timeline on a successful weight loss. Consider weight loss the byproduct of a lifestyle that includes eating food that nourishes you, and being active.